This is the backyard where I'm house-sitting. 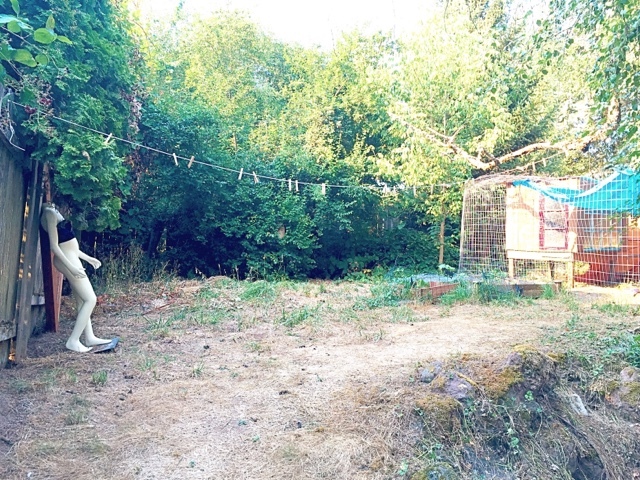 There appears to be a clothesline, cage, and zombie in a blue corset. Just an ordinary day on the compound.